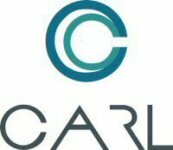 VANCOUVER, BRITISH COLUMBIA--(Marketwired - June 18, 2015) - Carl Capital Corp. ("Carl" or the "Corporation") (CSE:CRL), a developer of software as a service ("SaaS")-based solutions for data integration and business intelligence, is very pleased to announce that Carl's wholly owned subsidiary, Extend to Social Media Inc. ("ETS"), has signed a data services agreement with RA Revenue Automation ("RA"), a Vancouver-based, full-service digital marketing agency that specializes in B2C marketing automation designed to increase corporate revenues. This agreement demonstrates the growing momentum of Carl in building its portfolio of greatly enhanced enterprise application solutions. Carl will provide referral-marketing services through its ETS enterprise platform to RA for a period of 12 months with automatic annual renewals. ETS offers services that include a custom social referral application, data source connectivity and data processing applications as well as custom business intelligence and reporting dashboard solutions. According to the terms of this agreement, RA will pay Carl a minimum fee of $8,000 per month for these services. Greg Johnston, CEO of Carl, commented, "We're excited to be entering into a broader agreement with RA, which continues to build on the strong relationship between the two companies. Since the acquisition of ETS early this year, we've continued to see great interest from various data centric companies in using the platform and our services. We expect to enter into many more service agreements, which will give us both resources and capital to further develop and implement our portfolio of applications across a wide array of industries." Carl is focused on providing next generation information collection, storage and analytics solutions for data centric companies. Building on its first acquisition, Extend to Social Media Inc., a company with an application that allows clients to leverage their customers' social networks for referral marketing and analytics, Carl is enhancing the application to work with new cloud-based mass storage services and analytics applications. Carl is creating a virtually unlimited data storage environment from which informative visual representations of data can be created. Carl's goal is to deliver a comprehensive data management solution for datasets of any size and complexity. Certain statements in this news release are forward-looking statements, which reflect the expectations of management regarding the entering into by Carl of more service agreements and the resulting increase in resources and capital which will be used to build its business. Forward-looking statements consist of statements that are not purely historical, including any statements regarding beliefs, plans, expectations or intentions regarding the future. Such statements may include, but are not limited to, statements with respect to the future financial or operating performance of the Company. Such statements are subject to risks and uncertainties that may cause actual results, performance or developments to differ materially from those contained in the statements. No assurance can be given that any of the events anticipated by the forward-looking statements will occur or, if they do occur, what benefits the Company will obtain from them. These forward-looking statements reflect management's current views and are based on certain expectations, estimates and assumptions which may prove to be incorrect, including that there will be a continued and increasing demand for ETS' services. A number of risks and uncertainties could cause Carl's actual results to differ materially from those expressed or implied by the forward-looking statements, including: the risk of intellectual property disputes claiming rights to Carl's technology or infringement of other technologies, the risk that Carl is not able to protect its proprietary technology, the risk that Carl cannot get broad market acceptance for its products and services, the risk associated with developing new products and operating as an early stage company, the Company's ability to raise the additional funding it will need to continue to pursue its business and product development plans, competition in the industry in which the Company operates and market conditions, the risk that the Company does not execute its business plan, the inability to retain key employees, and other factors beyond the Company's control. These forward-looking statements are made as of the date of this news release and the Company assumes no obligation to update these forward-looking statements, or to update the reasons why actual results differed from those projected in the forward-looking statements. Additional information about these and other assumptions, risks and uncertainties are set out in the "Risks and Uncertainties" section in the Company's MD&A filed with Canadian security regulators at www.sedar.com. About this company Carl Capital Corp.